Made from an orlon/nylon blend, these socks will keep your feet dry and the elements out during a long day on the pitch. Be ready to referee a full set of weekend games on the pitch with the Kwik Goal Referee Socks. 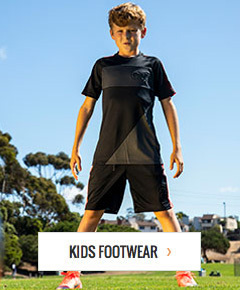 Available in junior or senior sizes, they will be sure to fit your feet and keep them dry. Referee a game in style with the Kwik Goal Referee socks today!